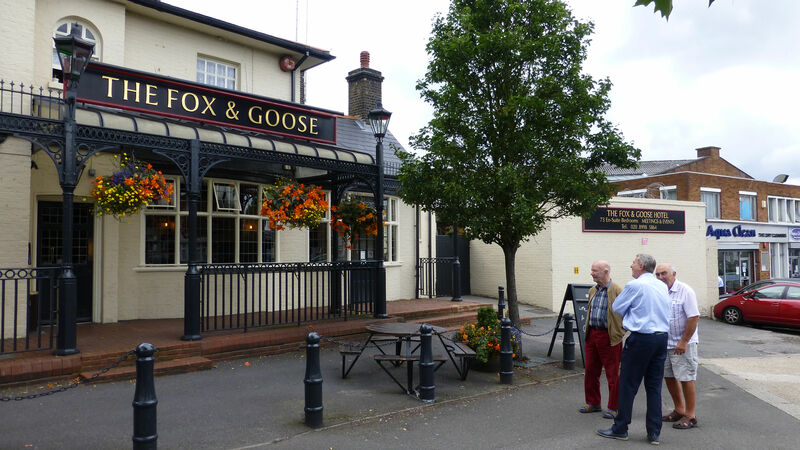 I visited the Fox and Goose pub on Hanger Lane, Ealing , London, on Wednesday 19 Aug with Colin Kingwell to talk to the current manager, Julian Peters. Julian wanted to know more about the pub’s musical history. He was aware that The Who played there when they were known as The Detours. The pub has changed a lot since the Jazz Club days. It was a skittle alley before it became the club room and now it houses the new kitchen and a conference room. We gave them some photos and newspaper cuttings about the Jazz Club’s acoustic blues sessions, which are now on the pub’s history wall. Cyril moved on to The Round House pub in Soho in 1955 where he and Alexis Korner absorbed blues and amplification from visiting American artists and recordings. They emerged in 1962 as Blues Incorporated in the Ealing Club and the British Blues Boom was underway! Diatonic Cyril davies, Fox and Goose, jazz, Steve Lane. permalink.